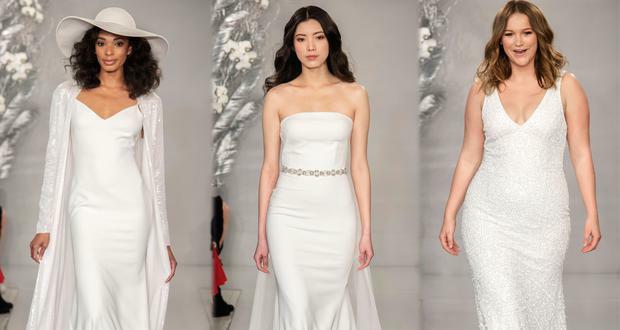 Irish designer Don O'Neill is now a seasoned expert in the formula required for a successful New York Bridal Fashion Week show. The Kerry native's THEIA line has evolved since its first showcase in 2012, moving on from a couture-inspired showcase to one focused on ready-to-wear. And he is listening to the calls for exclusivity, featuring a diverse representation of models across size and race to sashay down the runway in the Spring/Summer '20 collections. It was a showing of the complexities of styling the modern day bride - gone are the days where a princess-style ballgown is your only option and instead, there are plunging crepe jumpsuits with wide brim hats and platinum halter gowns for the non-traditional brides-to-be, with O'Neill taking inspiration from New York City's Studio 54 heyday. Curve models were sent down the runway in a v-neck gown with porcelain glass beads and matte sequins and another embellished v-neck, embroidered with pearls, seed beads and polychrome sequins, as part of the plus-size range he launched in 2017. “Inclusiveness is really important to us here at THEIA,” O’Neill said on the new line, calling it “a natural progression”. 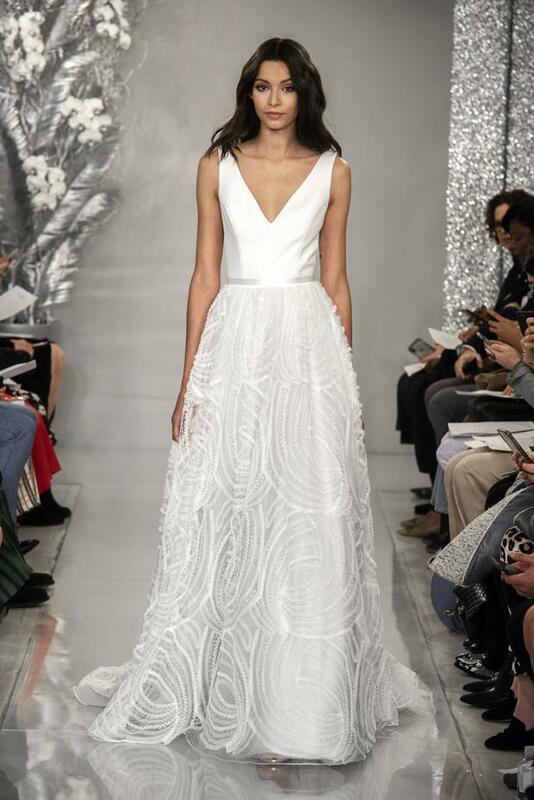 A standout look included a crepe v-neck bodice with tulle embroidered ball skirt halfway through the show.